In the 1970's and early 80's she traveled to Africa, South America and across the United States. During these decades, Lynn's wildlife paintings were exhibited at a dozen one man shows and 10 group exhibitions across America and Europe. Wanting to broaden the reach of her artwork, Lynn believed porcelain tablesettings and accessories would be a wonderful new "canvas" for her detailed and vibrant paintings. In 1988 she formed Lynn Chase Designs(LCD. Jaguar Jungle one of Lynn's earliest and, perhaps, most iconic design remains in the collection and was honored with the International Tabletop Committee's Best Design and Impact Award in 1991. 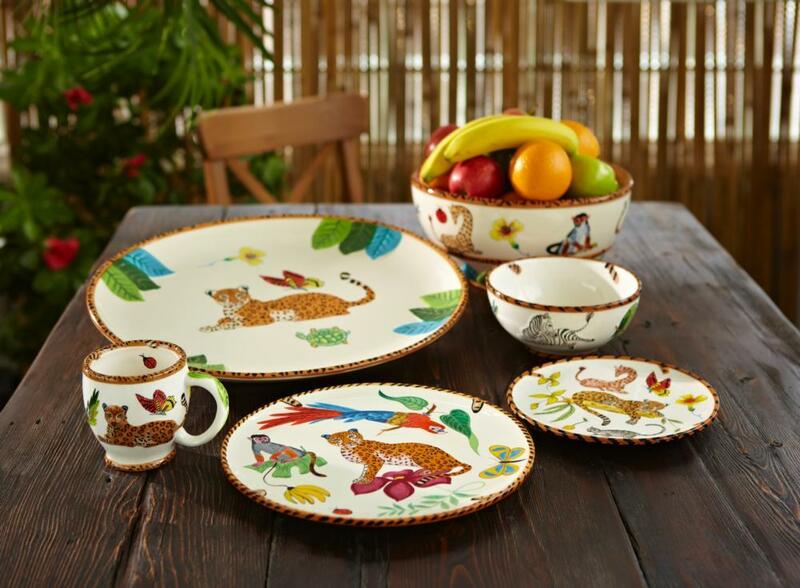 She has created over two dozen porcelain dinnerware collections and a wide assortment of giftware. She has also designed furniture, decorative accessories that include pillows,bedding, Bath products, scarves and neckwear.